Clyde Barrow ready for burial. 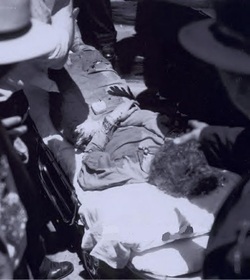 The bodies of Bonnie, left, and Clyde, above, are removed from the death car. 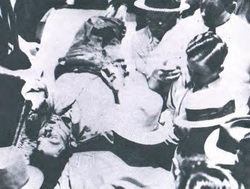 Barrow and Parker arrive at the funeral home.